Lab quality data. No lab required. 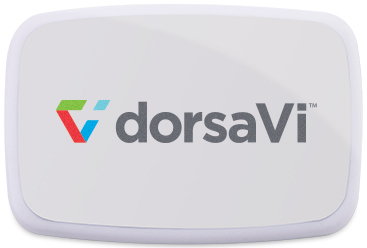 dorsaVi’s revolutionary wireless technology is designed to accurately and objectively measure and analyze the way we move. Two types of sensors: one for movement, one for muscle activity. Tiny instruments precisely measure how people bend, twist and step, including accelerometers, magnetometers and gyroscopes. These components, paired with our patented algorithms, allow us to accurately measure movement at a variety of different places on the human body. Our muscle activity sensors measure the activity of muscles near the surface of the skin using adhesive electrodes. dorsaVi makes wearable sensors, software and sophisticated algorithms that objectively measure movement and muscle activation at 200 frames per second. Anywhere. We empower our customers to rapidly assess movement inside or outside the clinic. Because real life doesn’t happen in a lab. We believe that real world information can lead to employees, patients and athletes staying healthier, moving better, being more productive. Here’s what we’re working on and talking about at dorsaVi.